HomeChoice Windows and Doors of Chattanooga announced the addition of a new member of its sales and management team. Cynthia Blackwell has assumed the role of sales operations manager, where she will oversee sales, customer service, and management of HomeChoice’s premier showroom. 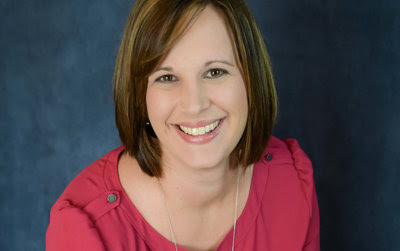 Ms. Blackwell comes to the organization with a strong background in the custom residential and commercial building industry, as well as strong connections with industry leaders. “HomeChoice has grown dramatically in a few short years, and bringing Cynthia to the team was a natural progression in service to our customers and expanding our reach into the community. Originally from New Hampshire, Ms. Blackwell moved to Chattanooga to attend the University of Tennessee at Chattanooga, where she earned a degree in child and family studies. After working in development and fundraising for First Things First, she turned her career to event marketing and community relations. Cynthia moved to the Home Builders Association of Greater Chattanooga in 2013 as their events and communications coordinator. Her responsibilities continued to grow, and she served as interim executive officer where she managed daily operations, including budget oversight, outreach, and business development while spearheading several community-wide events. Working for HomeChoice of Chattanooga and the Home Builders Association is not Ms. Blackwell's first introduction to the building industry. She comes from a family that has always been part of this business – including several family members who are engineers and who own construction companies that focus on residential and commercial remodeling.